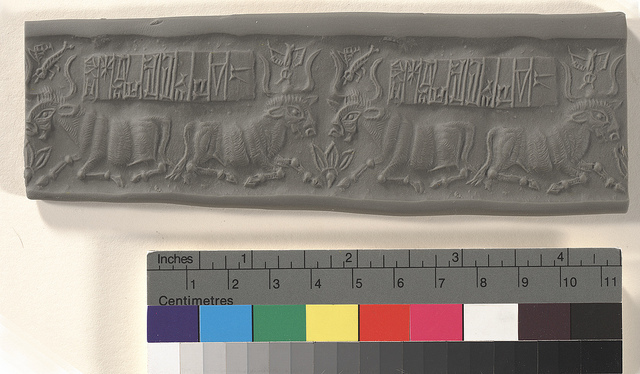 The animals pictured on this seal and the seal itself have been dated to the Proto-Elamite period of Iran. 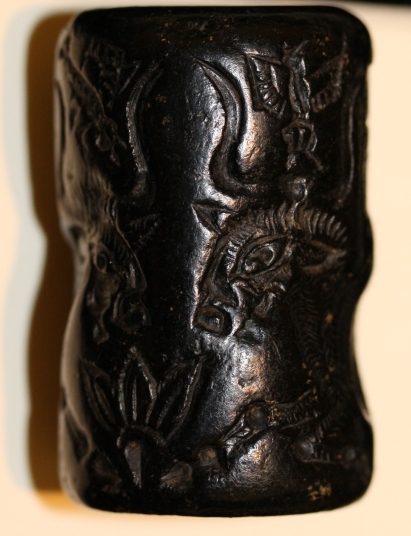 The incriptions were added at a later time, most likely in the Akkadian period (2340-2154 B.C.E.). This entry was posted in Proto-Elamite period (c. 3000 B.C.E. ), Seals. Bookmark the permalink.